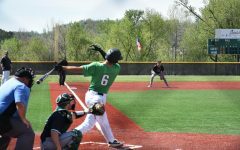 Marshall baseball took a 6-2 win in the first of its two midweek games against the Ohio Bobcats Tuesday afternoon at YMCA Kennedy Center Field in Huntington, West Virginia. The Herd moved to a season record of 16-17 (5-10 C-USA), while Ohio fell to 17-18 (5-7 MAC). 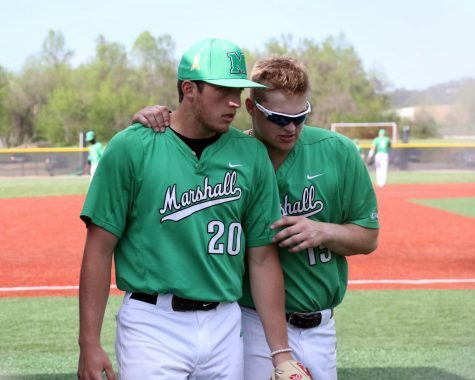 After falling behind 1-0 in the top of the second inning, the Herd used the long ball to respond, as redshirt senior left fielder Tucker Linder blasted a second inning 3-run home run to give Marshall its first lead of the game. 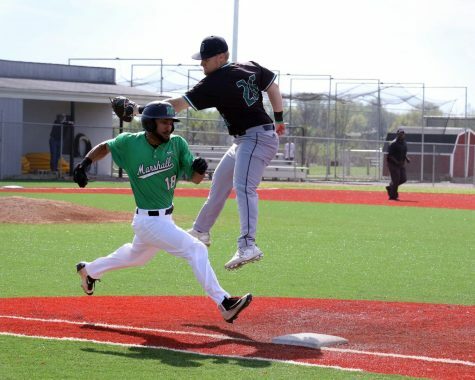 Then, sophomore second baseman Peter Hutzal tallied his seventh and eighth home runs of the season (a team-high) with his second multi-home run game of 2018. Hutzal hit a solo shot in the third and a another solo shot in the eighth. He finished 2-for-4 on the day. 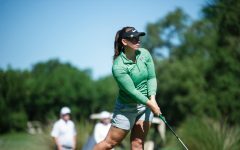 Marshall head coach Jeff Waggoner said after struggling at times earlier in the year, Hutzal’s work in practice has paid off. 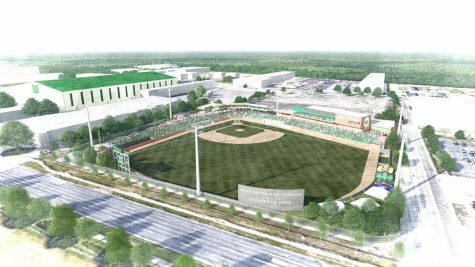 Ohio had its best opportunity cut the Herd’s lead in the eighth inning, when it loaded the bases with two outs. 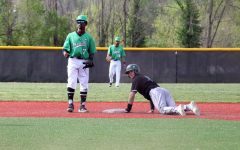 Bobcat freshman shortstop Treyben Funderburg singled to lead off the inning and Marshall sophomore right-handed pitcher Hunter Sexton walked a pair of batters to load the bases. 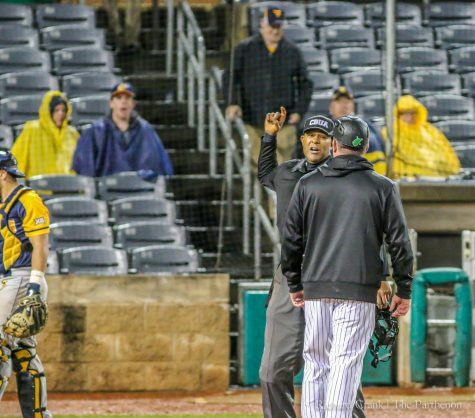 However, Ohio redshirt senior designated hitter Michael Klein—who represented the tying run— flew out to Herd center fielder Andrew Zban, ending the inning and leaving the bases loaded. 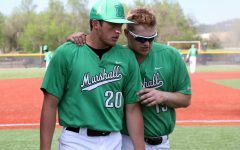 Marshall’s pitching effort was by-committee, as four Herd pitchers combined for 13 strikeouts and five walks in the game. 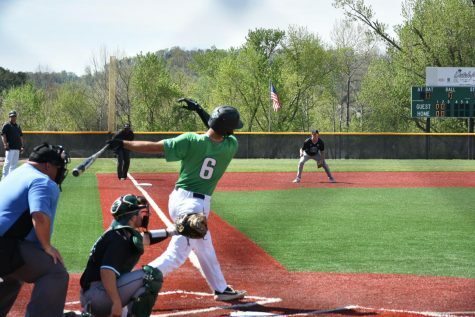 Junior left-hander Ryan Falls got the start on the hill and went three innings, striking out five and allowing one hit—a solo-home run from Ohio sophomore catcher Tanner Piechnick. 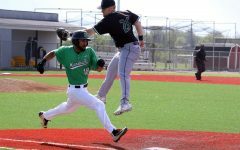 Waggoner said Falls, who is still limited after an injury, had his strongest outing of the year. 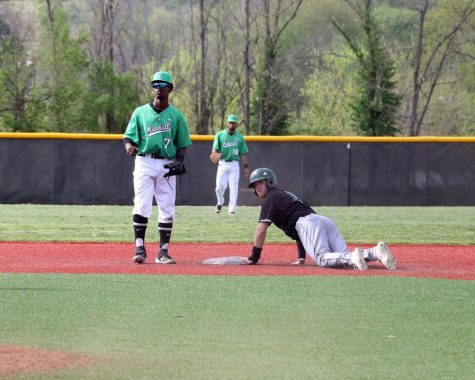 In relief, sophomore right-hander Jacob Bradley and freshman right-hander Chris Fryer each threw two innings, combining for three strikeouts, three walks, two hits and no earned runs. 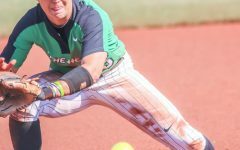 Waggoner said success in midweek non-conference games builds confidence and will ready players for weekend Conference USA matchups. 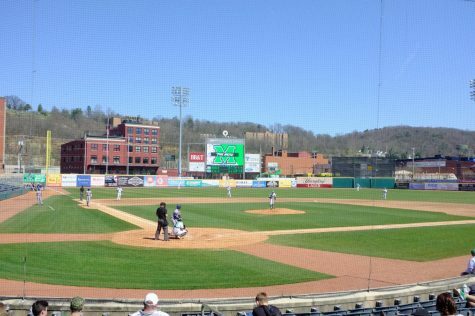 Marshall will be back in action tomorrow evening at Bob Wren Stadium in Athens, Ohio, for the final game of its home-and-home series with the Bobcats.